Home(Not So) Wordless Wednesday – Charles’ First Communion, Maybe? (Not So) Wordless Wednesday – Charles’ First Communion, Maybe? My parents and I believe this photo was taken the day my grandfather Chuck Lowry celebrated his First Communion. His grandparents George and Mary Bahle Pepperney made the drive up from Leetonia to Youngstown to celebrate. 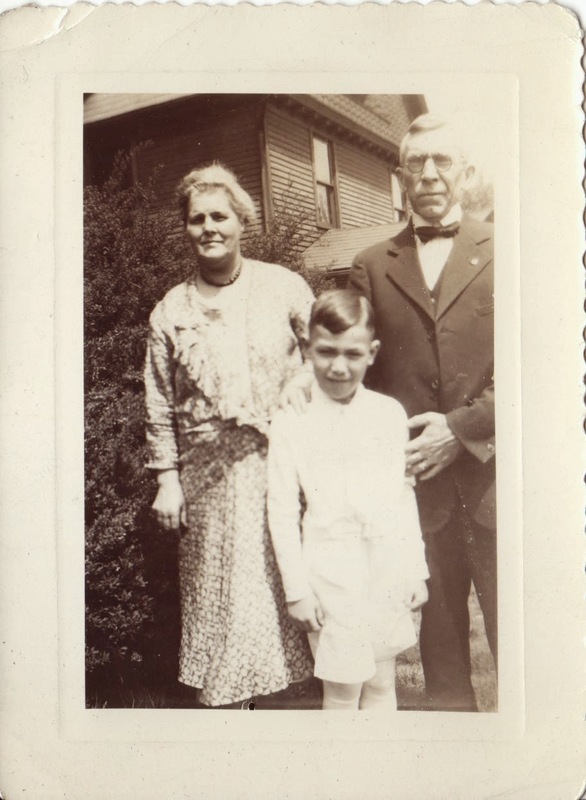 The photo was probably taken in front of 106 Thornton Avenue, where grandpa lived as a kid. I believe his First Communion occurred at Saint Columba Church around 1931. Saint Columba would become a cathedral upon the creation of the Diocese of Youngstown in 1943.